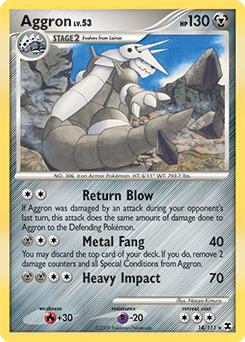 If Aggron was damaged by an attack during your opponent's last turn, this attack does the same  amount of damage done to Aggron to the Defending Pokémon. You may discard the top card of your deck. If you do, remove 2 damage counters and all Special  Conditions from Aggron.